Are my children going to be okay?” This is the overriding concern that Kathy Giesbrecht, associate director of leadership ministries for Mennonite Church Manitoba, hears and senses from parents. Parents are scared and overwhelmed, and there is no manual for them to keep in their back pocket. If parents a generation ago felt overwhelmed, today’s parents are experiencing changes they could only have imagined when they were growing up. The recent recession has heightened insecurities about the future. The competition for university seats is no longer just the student sitting next to their child in the high school biology lab. It’s students in Asia and around the world vying for the same limited spaces. There is pressure to turn out well-adjusted children. There are countless community programs to help, to equip them with skills, to keep them out of trouble, but when struggles emerge, parents stand or fall alone. And then there is rampant materialism. Both Currie and Gordon Neufeld, a developmental and clinical psychologist and co-author of Hold on to Your Kids, blame the pursuit of materialism as a significant negative force in the task of parenting. Generations ago it was the Industrial Revolution that had dramatic impacts on family life, Neufeld says. Now, it is materialism. “Today, decisions about money supersede what is best for the family.” He says that working on Sundays and parents moving to where the money is, rather than where the family support network is, reflect that money is more important than culture and relationships. In some ways it has always been like this for parents, but a new set of challenges and issues have arisen that complicate the task of parenting today beyond what it was only a generation ago. A mother notes that parenting her youngest, who is graduating from high school this year, has presented her with challenges she never faced with her older three children a mere seven years ago, and it isn’t just personality related, she is quick to point out. At Menno Simons Christian School, Calgary, which offers classes from Kindergarten to Grade 9, principal Byron Thiessen says that most students, once they reach junior high, have their own cell phones or Blackberries. “Parents are looking for help as to what is appropriate and inappropriate use of technology,” Thiessen says. Several principals observe that cell phones serve as an umbilical cord for parents anxious to keep that connection with their child, even if it does interrupt their child in class at times. How many programs are too many? Social relationships have also changed and parents are left feeling ill equipped or powerless to deal with some of them. Either for the sake of intervention, or because they feel the need to equip children with additional skills in an increasingly competitive world, or because they want to keep children from getting into trouble, parents have filled the lives of their children with programs. These same principals witness parents who are “running” as soon as their children are out of school. And as community programs and sports dominate more of their students’ lives, they see the results in school, including tired children coming to class. On the other hand, parents say that by keeping their children busy, they stay out of trouble. But running around to programs means less family time to sit around the dinner table or attend church together. “There is a growing isolation despite growing activity,” suggests Darryl Loewen, principal of Mennonite Collegiate Institute, Gretna, Man. 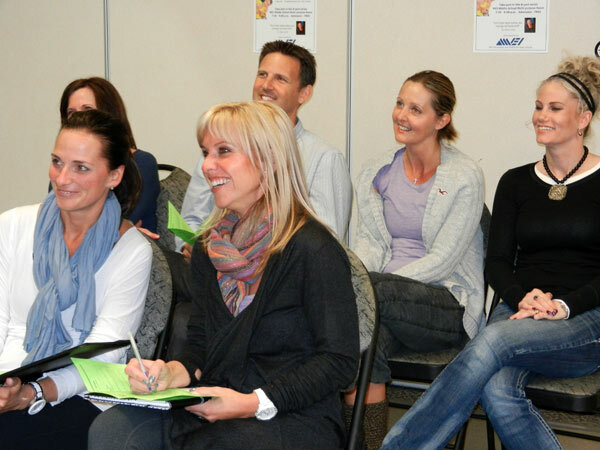 Some parents hover over their children during their early years in school, but now “ ‘helicopter parents’ are weighing in heavily right even into the university years,” says MEI Secondary principal David Neufeld. “They want to see their children be successful. It’s their way of factoring into their children’s lives.” It’s no longer unheard of for parents to accompany their young-adult children to visit a university professor to discuss a grade.
. . . functioned as an important supporting cast for parents and an attachment village for children,” he writes. But today many churches separate the family as they enter the door, inadvertently preventing these vital intergenerational connections. Some parents are able to find the support they need in small groups within the church, where they can talk about things quite honestly, learn from each other and practise accountability. But what happens when children’s activities draw families away from their church support structures? What can the church do better if Currie is right in his estimate that “over 80 percent of teenagers from Christian homes are leaving their faith after they graduate from high school”? He believes the church needs to do a better job of coaching parents and giving them the supports and skills they need for the job, lamenting that, “what tends to happen in our churches is that we do a message on family, do one talk and run some six-week session during the year, and then we feel we’ve done our bit. We need to do ongoing resourcing for families and parents” who want to raise their children in the Christian faith. The unidentified parents quoted asked for anonymity for their children’s sake. 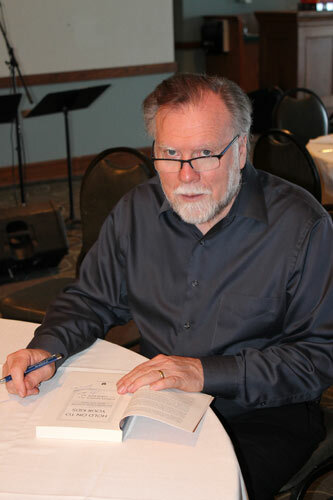 Gordon Neufeld, a developmental and clinical psychologist, autographs his book, Hold on to Your Kids: Why Parents Need to Matter More than Peers, which he co-authored with Gabor Mate, M.D.